Heavy's Food Truck | Best Soul Food Truck in Tampa, FL! We’re the best soul food in the Tampa Bay area, and we’re on the move to a neighborhood near you. 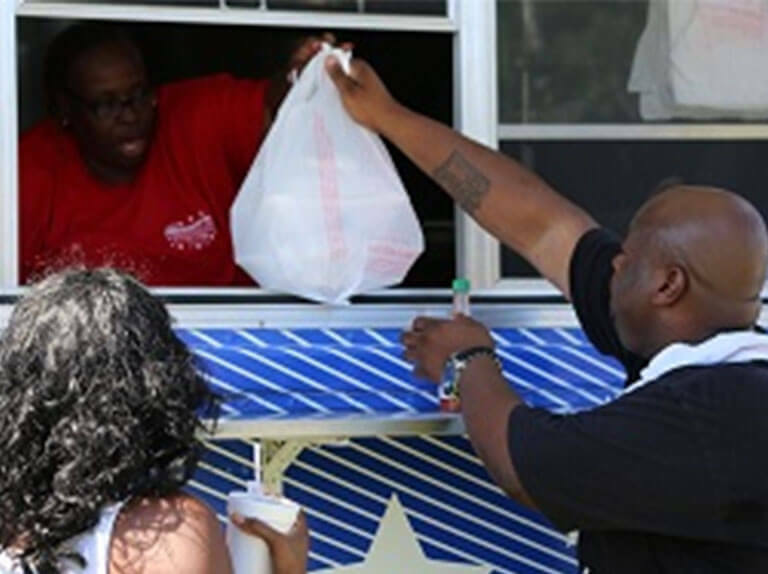 Offering up some of the most amazing food you’ve ever tasted with a side dish of down home hospitality, Heavy’s Food Truck is the mobile soul food extravaganza you just can’t miss. Are you looking for a convenient place to grab some comfort food in Tampa or the Tampa bay area? Don’t look any further! Our mobile culinary haven is always nearby when you crave some eats that you simply just can’t get anywhere else. Let’s talk about good food for a second. We have a combined total of 31 years experience in the culinary field. We know what it takes to deliver great food and when we discovered that we could take this passion on the road, we jumped at the chance. We offer up anything from beef dishes, to hearty chicken meals that leave you satisfied for a long, long time. 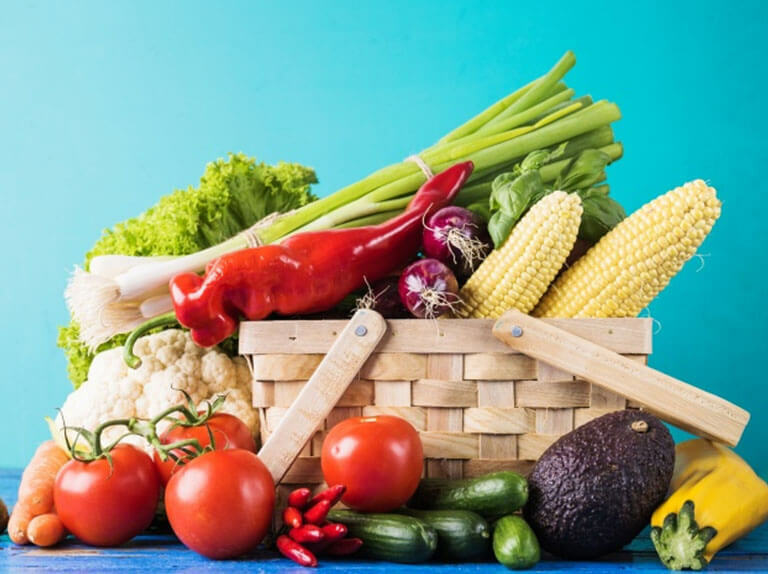 Don’t worry, we dish up a good share of veggies, soups and light dishes too, so if you’re in the mood for something small to munch on during your busy work day, this food truck in Tampa is for you. What we really specialize in, however, is satisfying the biggest appetites, for the least amount of money you can spend. Appropriately called “Heavy’s”, we aim to stuff your stomach while keeping it light on the spending. Show us where it says you need to spend a ton of cash to get a ton of food that’s right, nowhere. We serve up great food on the best food truck in Tampa Florida, so whether you’re on the move, on a break from work, or just on a mission for fill your belly and have some fun, Heavy’s has got you covered! We are two men on a mission to offer what any other food truck in Tampa FL just cannot. Great food at an actual price you can afford. We were on a mission to bring the area something it hasn’t seen before. The one thing that bothered us the most about other food trucks, were the prices rising higher each year. How great would it be to take a quick break from work and hop on over to Heavy’s for affordable soul food that will make you wish you had two stomachs? How great would it be to have a Tampa food truck in your back yard that you can depend on for consistently great service and prices? Yeah. We went out and made this idea a reality. So come for the food, but stay for the laughter and good times. The best food truck in Tampa has got to live up to its name, so we are serving up some smiles to go along with your good food. The goal here is to give you, the hungry customer, the best time you can have in the few minutes you visit us. It’s important to give great customer service, so we aim to bring you the fun time you deserve when you want to grab something to eat. Tampa FL comfort food should make you smile and say “wow!” You should leave feeling good and wanting to come back for more. That’s why we offer a real friendly atmosphere with great service and food that will fill you up but won’t empty your wallet. That’s the only way we do business! Come find us and try our Heavy’s Famous Turkey Wings. We’ve been serving up these delicious bad boys since the start, and one bite will have you knowing exactly why we’re a local favorite and the best food truck in Tampa Florida. You like your food cooked with love and tons of flavors? Served up to perfection with a smile and a joke? Well come on down and say hi. You’ll be glad you did. We started this food truck in Tampa because the local folks here are just wonderful. We’re able to showcase our culinary prowess, as well as interact with our customers; to us, that’s a dream job come true! We keep it fresh! We only produce the highest quality foods, prepared in ways that only we can boast specific to our culinary experience and expertise. The finest and freshest ingredients around are important to anyone looking to deliver the best food, and especially the best soul food in Tampa. It goes without saying; customer service is important to any successful business. You want to make the customer feel like they are your guest and not just another face. We specialize in fantastic customer service and we aren't happy unless you are 100% satisfied with every second of your visit. Who says that running a catering service in Tampa can't be fun? We sure don't. We love what we do and we love our guests, so it's never too hard to find a welcome smile and a good joke to go along with your meal. 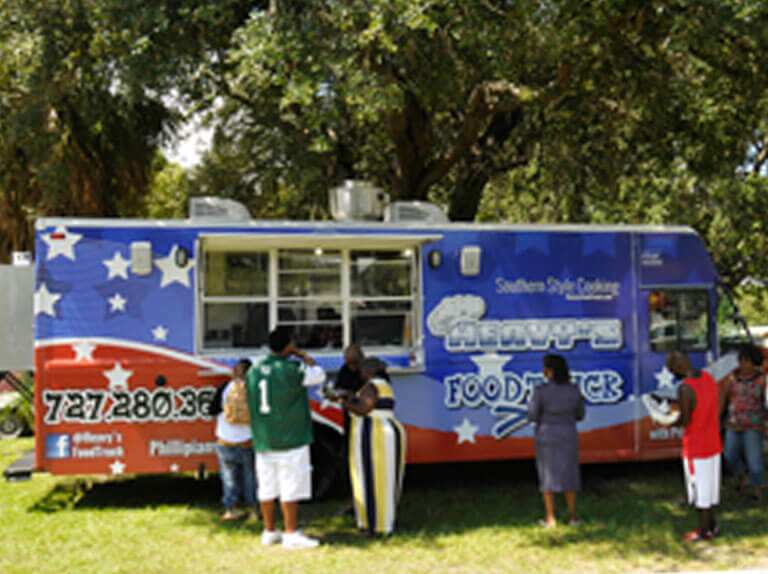 If you can find a funnier and friendlier soul food truck in Tampa, we'll toss in an extra smile for free! "Food so good make u wanna slap ur mama...lol"
"Tried and tested....Results: these guys can burn!(translation:burn=cook)!!!" "Pleeaasseee come back to Tally!! Best soul food in my LIFE!"